Capt. Chuck got more than he bargained for when he responded to a call last year about a jet boat taking on water near the Julia Tuttle Causeway. 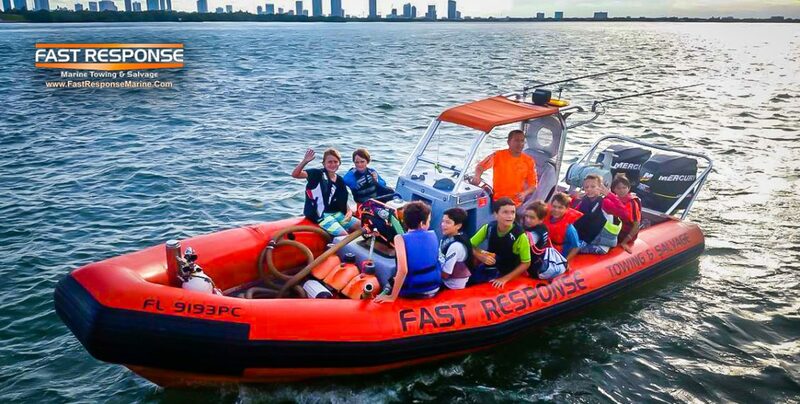 The boat was giving a tour to a group of school kids, so he quickly loaded them all into Fast Response Unit 1 and calmed them down. While he was busy taking care of the kids and keeping them safe, another company swept in and took the salvage deal. All in all, it turned out to be and adventure for the kids, and we were glad we could be there to help.